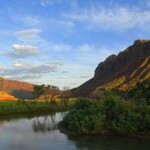 Gateway Canyons lies at the confluence of the Dolores River and West Creek in western Colorado, the heart of the American West. 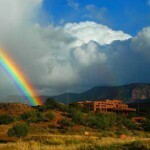 Surrounded by majestic and vast red rock canyons, this destination resort serves as a regional hub for unique learning and recreational activities and offers lodging at the Dolores River Inn and Kiva Lodge, exceptional dining, a gourmet General Store, Adventure Outfitters, and a gift shop. 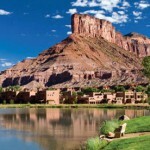 Whatever pastime you enjoy… horseback riding, hiking, ATV’ing, kayaking, relaxing by the pool…Gateway Canyons can provide. 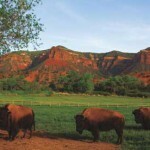 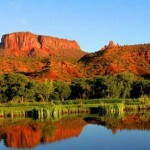 Please visit www.gatewaycanyons.com to view the many offers of the Adventure Center, the Stables and the full service Spa. 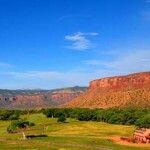 Additionally, Mesa County boasts 5 Golf Courses, 18 Wineries with tours and tastings available, and Art on the Corner in downtown Grand Junction.